Mark 4:37 And there arose a great storm of wind, and the waves beat into the ship, so that it was now full. 38. And he was in the hinder part of the ship, asleep on a pillow: and they awake him, and say unto him, Master, carest thou not that we perish? 39. And he arose, and rebuked the wind, and said unto the sea, Peace, be still. And the wind ceased, and there was a great calm. 40. And he said unto them, Why are ye so fearful? how is it that ye have no faith? 41. And they feared exceedingly, and said one to another, What manner of man is this, that even the wind and the sea obey him? Colossians 2:13 And you, being dead in your sins and the uncircumcision of your flesh, hath he quickened together with him, having forgiven you all trespasses; 14 Blotting out the handwriting of ordinances that was against us, which was contrary to us, and took it out of the way, nailing it to his cross; 15 And having spoiled principalities and powers, he made a show of them openly, triumphing over them in it. Luke 24:36 And as they thus spake, Jesus himself stood in the midst of them, and saith unto them, Peace be unto you. Luke 24:37 But they were terrified and affrighted, and supposed that they had seen a spirit. Luke 24:38 And he said unto them, Why are ye troubled? and why do thoughts arise in your hearts? Luke 24:39 Behold my hands and my feet, that it is I myself: handle me, and see; for a spirit hath not flesh and bones, as ye see me have. 2 Timothy 1:12 For the which cause I also suffer these things: nevertheless I am not ashamed: for I know whom I have believed, and am persuaded that HE IS ABLE to keep that which I have committed unto him against that day. 13. Hold fast the form of sound words, which thou hast heard of me, in faith and love which is in Christ Jesus. 14. That good thing which was committed unto thee keep by the Holy Ghost which dwelleth in us. But you’re big enough Jesus! That you’re big enough, but you’re big enough yeah! That you’re big enough Jesus! 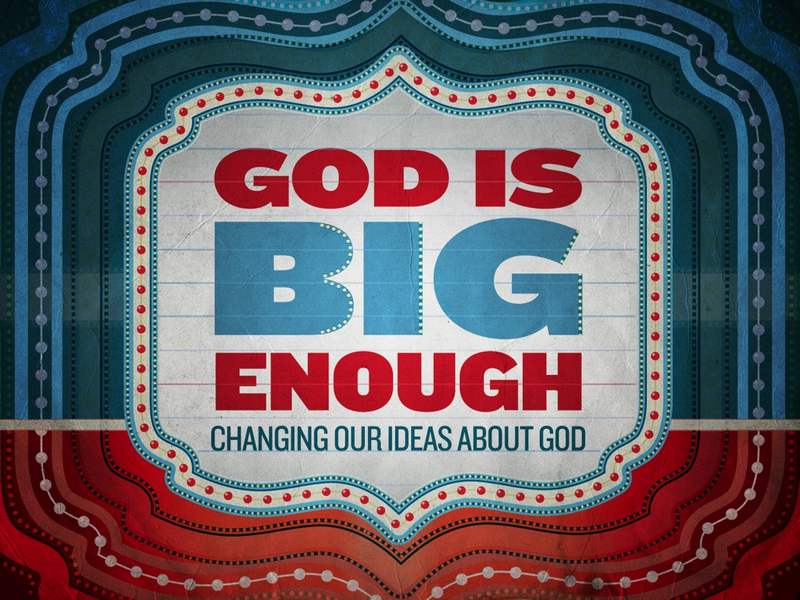 Songwriters: WOODS, AYIESHA SHONTAE / STEVENS, CHRISTOPHER E.
Posted on April 27, 2015, in God is Big Enough - Series, Ministry Monday and tagged preaching, preaching series, sermon series. Bookmark the permalink. Leave a comment.